While you may not need to worry about the physical location of a row very often, every so often the need comes up. In a few of my earlier posts (here), I have needed this information to prove a point. This post shows how to identify a row’s physical location. It will also show the various methods used to work with this value once returned. The first of these functions is “sys.fn_PhysLocFormatter”. This scalar function receives the %%physloc%% virtual column as an input. It splits the input apart into the file, page and slot information, and then returns the information in a column formatted in the form file_id:page_id:slot_id. This is the function that I used in the above posts. The second function is “sys.fn_PhysLocCracker”. As a table-valued function, it is used either directly in the FROM clause or by using the cross apply operator. It also receives the %%physloc%% virtual column as an input, and returns the file_id, page_id and slot_id as columns in a table. In at least one of my previous posts, this would have been a better function to have used. Let’s see some examples of using the virtual column and these functions. In the following script, we start off by creating a temporary table with 700 rows of data. The first query after that uses the sys.fn_PhysLocFormatter function, returning all of the physical location information about the row into one column. The subsequent query uses the sys.fn_PhysLocCracker function, returning the file_id, page_id and slot_id values from the physical location of the row. This allows these values to be used in subsequent processing – say maybe for automating DBCC Page? So there you go. %%physloc%% identifies the physical location of a row. Then the sys.fn_PhysLocFormatter function will decipher this and expose it in a composite form, while the sys.fn_PhysLocCracker function will decipher it and return the values as columns in a result set. You can use whichever one suits your needs. Which will return the same information, without the performance inhibiting multi-statement table-valued function being used. 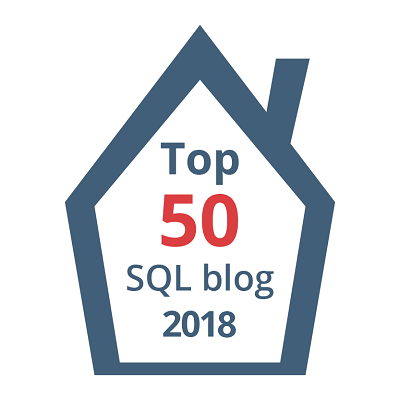 #1 | Pinged by Finding Physical Row Location – Curated SQL about 2 years ago.